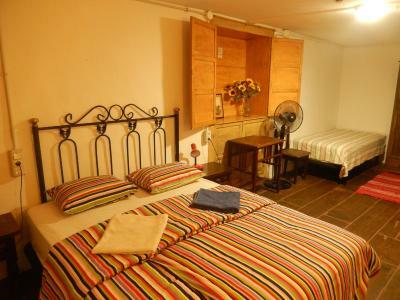 Lock in a great price for Pension La Cubana – rated 8.1 by recent guests! Excellent location in the center of a historic place. Beautiful old style and home atmosphere, very friendly and helpfull staff. Good wifi. It is very close to the ferry and the old town. The staff is really friendly, the room was clean and you have a really nice view in the balcony in the sitting area. Location proximity to cafes, v. Good no frills pension. Nice staff. Easy place to relax. Location was perfect. Quaint decor, it feels like travelling back in time. The woman at the reception was very friendly and helpful. Location. Able to leave luggage. Staff very helpful. Kitchen with tea and coffee available. Fridge. Bakery just across the street. 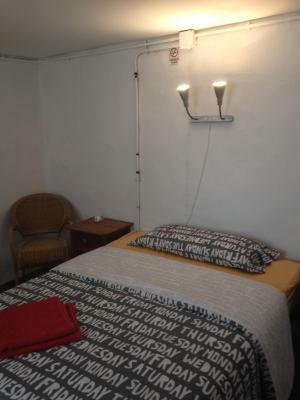 comfortable bed, good cheap price, very central location. Close to the port with the bus stops, Bus 35 to the top of the caldera overlooking town. The design of the property was amazing. Everything was really close: bus station, shops, beach. It was my second time staying there and it was as good as the first time. Friendly staff. There is free tea and coffee for guests, possibility to use the fridge. The left luggage system is great. The best bakery in town across the street for your breakfast. 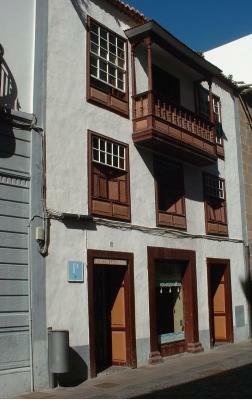 Charming Old Canarian House, Central Location, Friendly, very good value for Money. But don’t expect luxury! Pension La Cubana This rating is a reflection of how the property compares to the industry standard when it comes to price, facilities and services available. It's based on a self-evaluation by the property. Use this rating to help choose your stay! 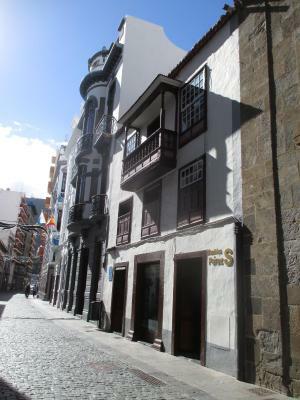 Pension La Cubana is in the pedestrian area of the historic quarter center of Santa Cruz de La Palma. It is a 10 minute walk to the beach and the hotel offers free Wi-Fi. 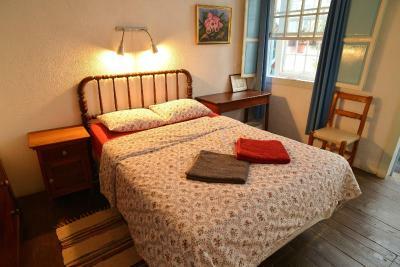 The rooms in the historic mansion of La Cubana have views either onto the pedestrian street or an internal patio. They are equipped with a sink and have access to a shared bathroom. La Cubana has a common room with tea and coffee-making facilities and a fridge. It is also next to a number of squares, cafés and restaurants. 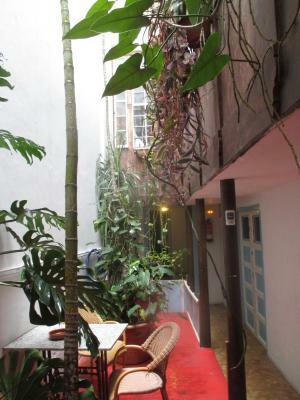 There is a large free public parking area just 150 feet from Pension La Cubana. 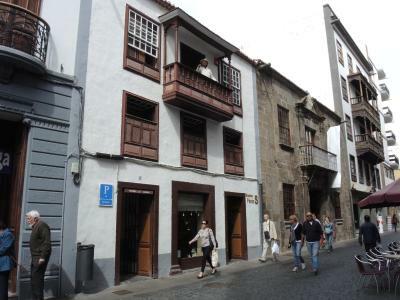 La Palma Port and main bus terminal are a 5 minute walk away. It also takes 10 minutes by bus or car to reach the airport. 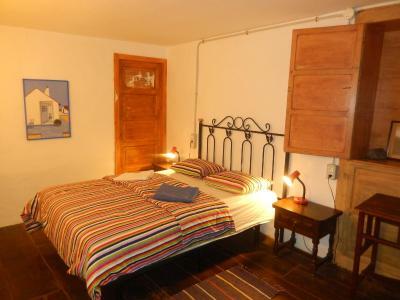 When would you like to stay at Pension La Cubana? This simple room features a sink and has views of an internal patio or a pedestrian street. Guests have access to a shared bathroom with a hairdryer. House Rules Pension La Cubana takes special requests – add in the next step! Pension La Cubana accepts these cards and reserves the right to temporarily hold an amount prior to arrival. Please note that the property does not offer private parking nor manage the public spaces available nearby. Please inform Pension La Cubana of your expected arrival time in advance. You can use the Special Requests box when booking, or contact the property directly using the contact details in your confirmation. A separate loo would be useful. Synthetic duvee I think, made me sweaty. Noisy walking people upstairs. 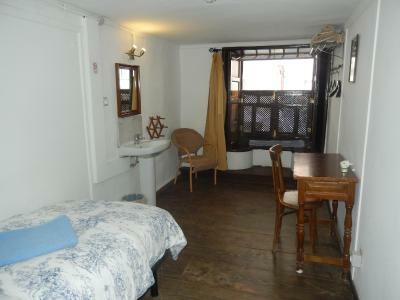 Location, quiet, characterful building, kitchen and communal area, hot shower, good lighting. Could hear everything in the room next door which was not relaxing (children screaming) and room smelled a bit damp. 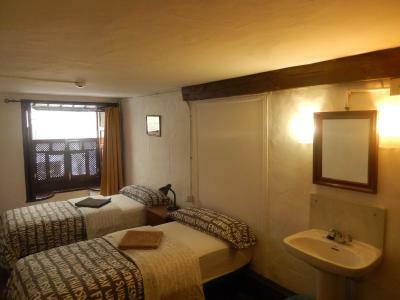 Extremely friendly and helpful staff, bathrooms were very clean, comfortable bed and good location. 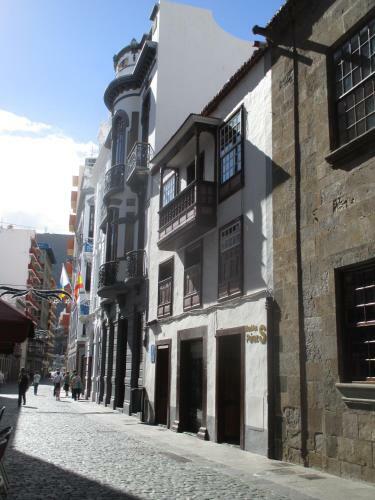 The atmosphere of this accommodation is unique, the location excellent directly at the main street and the welcome was very friendly. Wi-fi is very good, there are enough sockets in the room as well. 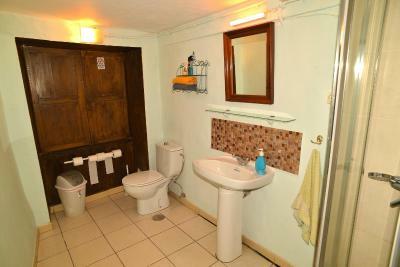 Enough bathrooms are available, they are close to the rooms and clean. Perfect choice for an early ferry departure (just 10 minutes to walk to the ferry). I would book here again. Cold shower on my first night - should have called the help number but I just bored with it because I just wanted to wash and it was late. Great staff. Comfortable and clean. Beds in the small rooms need to be fixed so they dont sound if you move. Its a good place in a nice town. Poor sound proofing between rooms. Friendly staff who went the extra mile.